Publisher: Simon & Schuster, 1932. Condition: Hardcover, red cloth. In very good condition: minor bumping and rubbing. 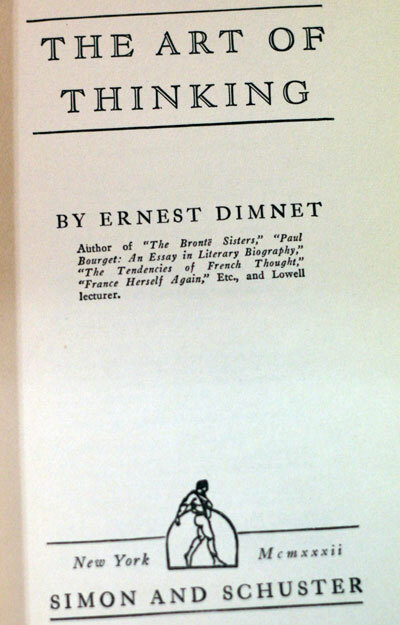 Ernest Dimnet (1866-1954), French priest, writer and lecturer, is the author of The Art of Thinking, a popular book on thinking and reasoning during the 1930s. Born in France, he moved to the United States after the First World War. 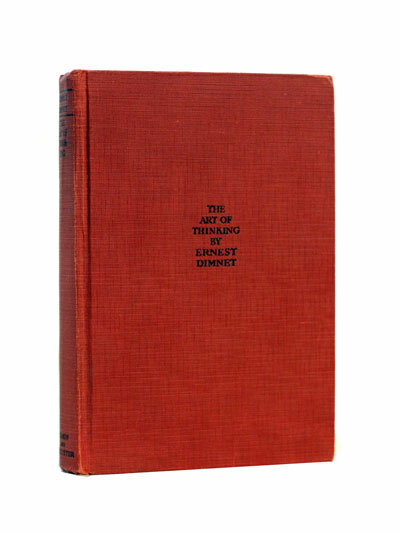 The Art of Thinking was on the best-seller lists in the US in the 1930s, alongside Dale Carnegie’s self-help works, but it is mostly forgotten today. Dimnet’s “The art of thinking” invites the reader into a state of honesty where he evaluates himself as a thoughtful human being. Dimnet brings up the fact that we too often only “think of thinking” about something instead of actually thinking. He provides useful tips and advice on how to improve one’s concentration, and even endeavors to answer some timeless and all-important questions such as “How do I find myself?” Finding answers to these questions, Dimnet explains, is crucial to the production of any original thought. We must know ourselves in order to think for ourselves.